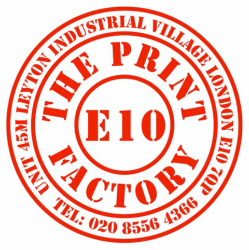 The Print Factory: Who we are - Personalised printing for business, for events, for you. The Print Factory is a family-run company with experience, professionalism and a friendly flexible attitude. We focus on delivering consistently high standards of print production and customer service. Our expertise and pride in crafting quality lithographic, thermographic and digital print, is coupled with our commitment to keeping customers in touch at each stage of the print process, from design and pre-press to a wide range of print finishing services. 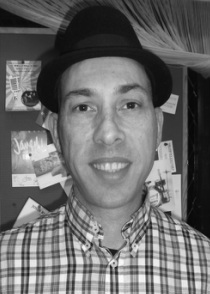 Johnny joined the Print Factory as a complete novice in 1996. Thrown in at the deep end, he proved himself a natural. With sheer graft and dedication, he developed his skills and became an expert in print design and production techniques until, in 2002 he became the owner of the company making it what it is today. When he's not being the 'big boss man' at work, Johnny likes chilli-eating competitions with his son, spinning his much loved vinyl collection and playing drums in his band. He dislikes gherkins and football! 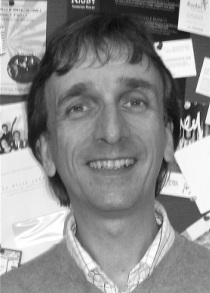 Steve came to work with the Print Factory in1995, after studying print finishing at the London College of Printing. Steve's known for his skill, dedication and his exacting eye for detail. His meticulous approach to work often means he goes above and beyond the call of duty in his quest for perfection. In his spare time, Steve is a genius at sniffing out a bargain and enjoys a bit of wealing and dealing on ebay, selling his wares. He dislikes sprouts but loves football! Jane is married to Johnny. 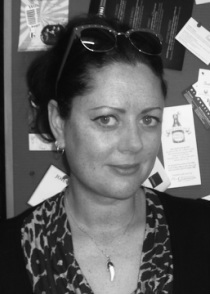 She runs a tight ship behind the scenes at The Print Factory, bringing her organisational skills into practice from a previous life as both a casting and photographer's agent. She is likely to be the first person you will speak to when you call and will endeavour to sort your query or put you in touch with production 'tout suite'. Outside of work, Jane is the singer of the band with Johnny. She enjoys camping with the family and reading up on medieval history. She dislikes black pudding and doesn't want to understand football!